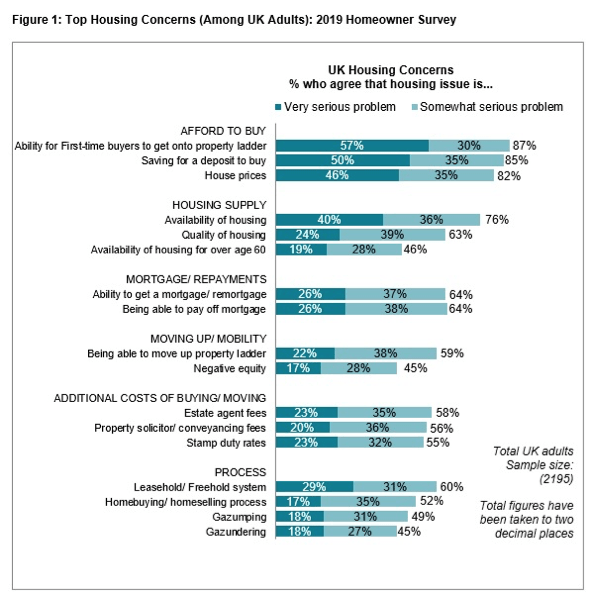 In this years HomeOwners Survey, conducted by YouGov and on behalf of the HomeOwners Alliance, BLP Insurance and Resi.co.uk architects, it’s revealed that 32 million people think Britain’s homes are not “fit for purpose”, while the number of people concerned about leasehold and the quality of housing hits an all time high. 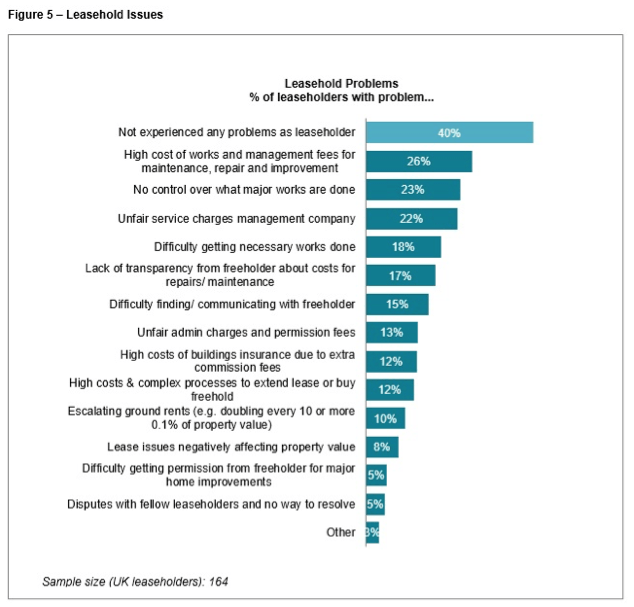 This year’s survey took a deep dive into challenges facing leaseholders. 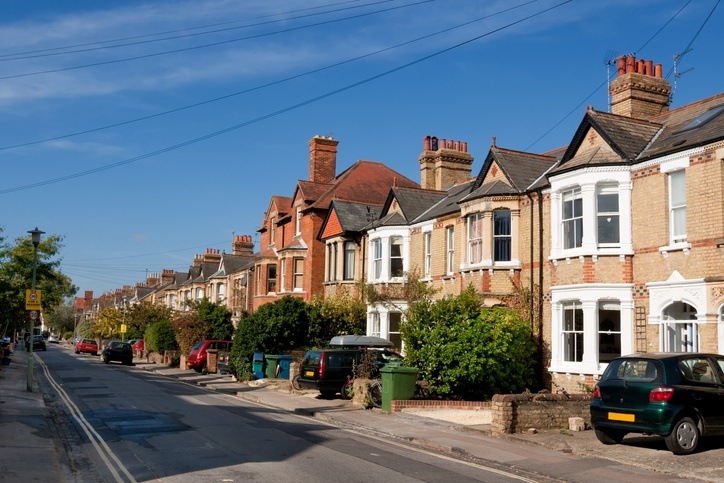 The much-criticised leasehold system has been the fastest rising housing issue over the past five years. 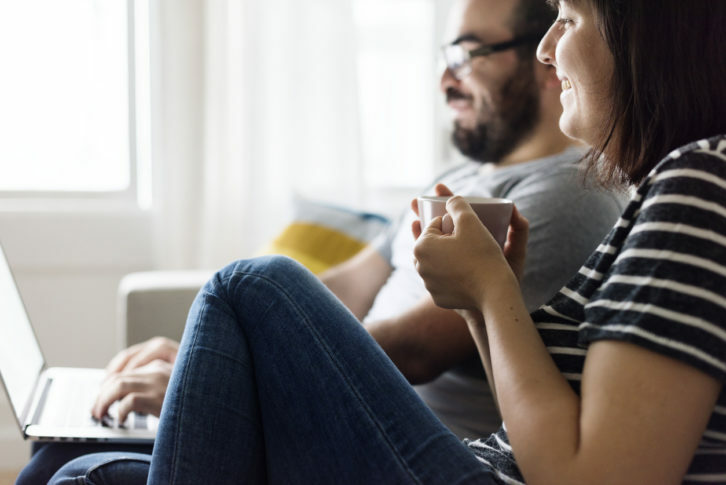 Three in five (60%) UK adults now say the leasehold/ freehold system – including service charges, ground rent and other fees – is a serious problem. This is up from 42% in 2015. The issue registers similar levels of concern across all regions in England. These results follow a Select Committee report last week announcing a crackdown on the leasehold system, which is open to corruption, and the poor value for money it represents. Meanwhile the crisis for first time buyers has reached the largest recorded levels. 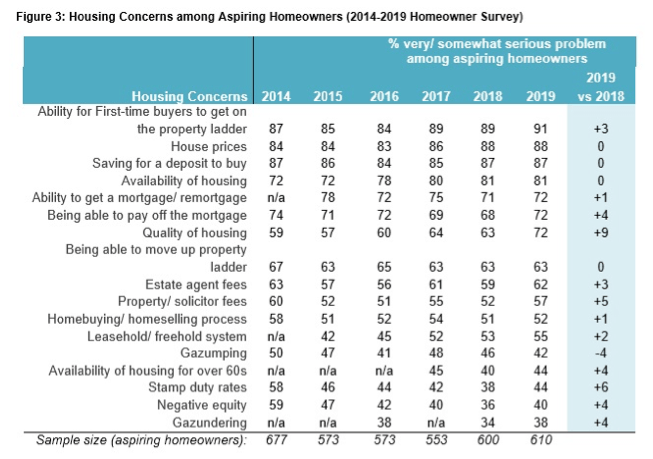 More than nine in ten (91%) aspiring first-time buyers saying the ability to get on the property ladder is a serious problem, while 88% say house prices and 87% say saving for a deposit are serious problems. This comes against a backdrop of Government initiatives, such as the abolition of stamp duty for first time buyers and higher levels of lending for them. Gazundering has risen as an issue. This is when buyers drop their offer price just before the sale. It has escalated from 40% last year to 45% in 2019. Likewise anxieties about negative equity have mounted. Some 45% of UK adults have described this as a problem. Two-thirds of those in Northern Ireland (69%) say they are really worried about negative equity. Northern Ireland is yet to fully recover from the 2008-9 credit crunch and house price crash, it has had no functioning devolved government since 2017 and is set to be the UK region most badly affected by Brexit because of its border with the Republic of Ireland. “The results of this survey cast another dark shadow over a housing industry rife with systematic faults. 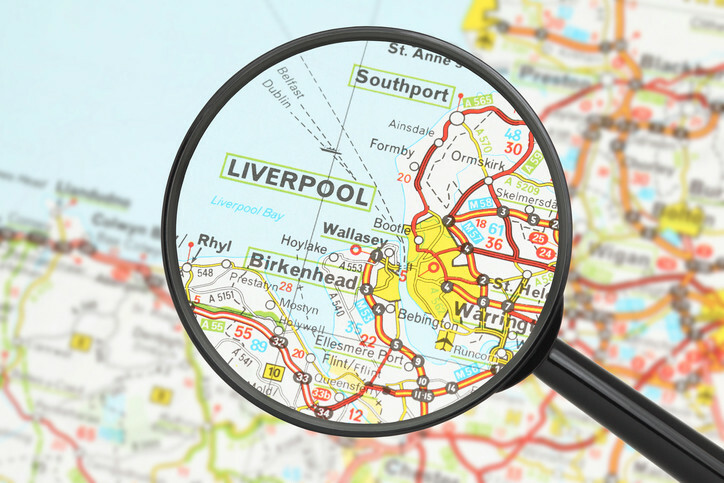 The Government and the housebuilding industry have come under severe pressure to meet targets and boost housing volumes. This has resulted in a noticeable drop in both the practical design and build quality of new houses, as well as poorly thought through schemes, such Help-to-Buy. 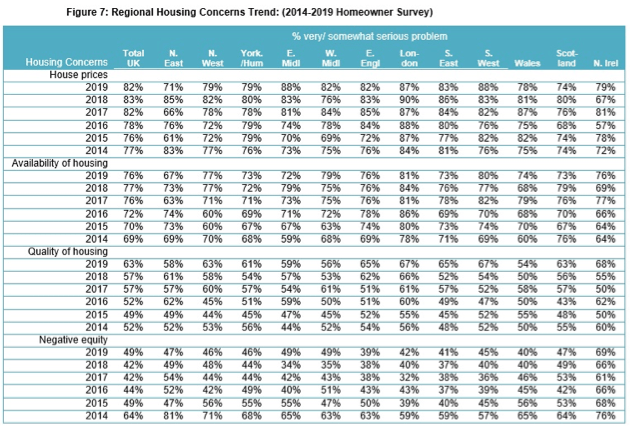 Housing quality is the fastest rising issue in 2019, now at a five-year high. 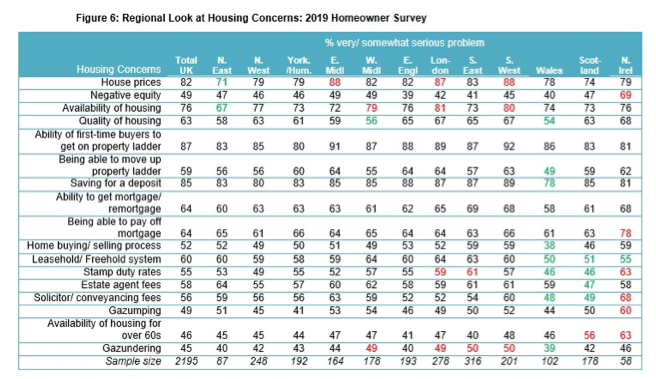 Nearly two thirds (63%) of UK adults say housing quality is a serious problem up 6% from 57% in 2018 and up from 49% five years ago. The leasehold system has been the fastest rising issue over the past 5 years. The proportion of UK adults saying the leasehold/ freehold system is a serious problem at 60% is up 4% in 2019 and up 18% since 2015 from 42%. Gazundering and negative equity are up year on year. Possibly in response to a more price sensitive selling climate, both gazundering and negative equity are up as issues. Up 5% year on year, 45% say gazundering is a problem. Up 3% year on year, 45% say negative equity is a problem. 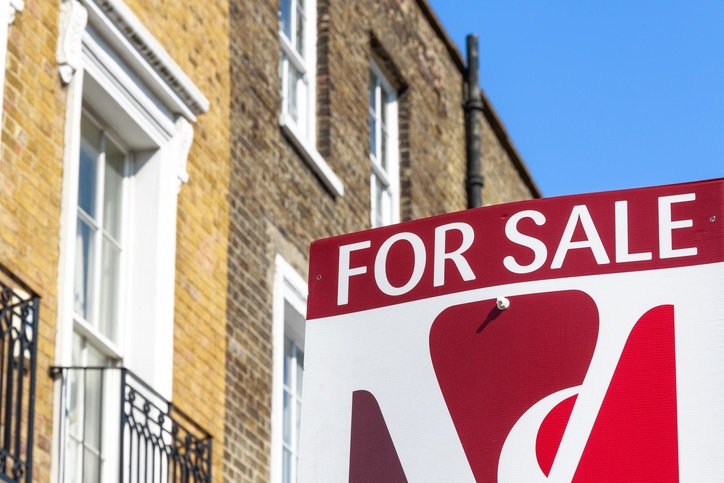 The cost of stamp duty has been described as more of a problem over the past year with 55% of UK adults – up from 50% in 2018. The HOA is calling for action on this inefficient tax. 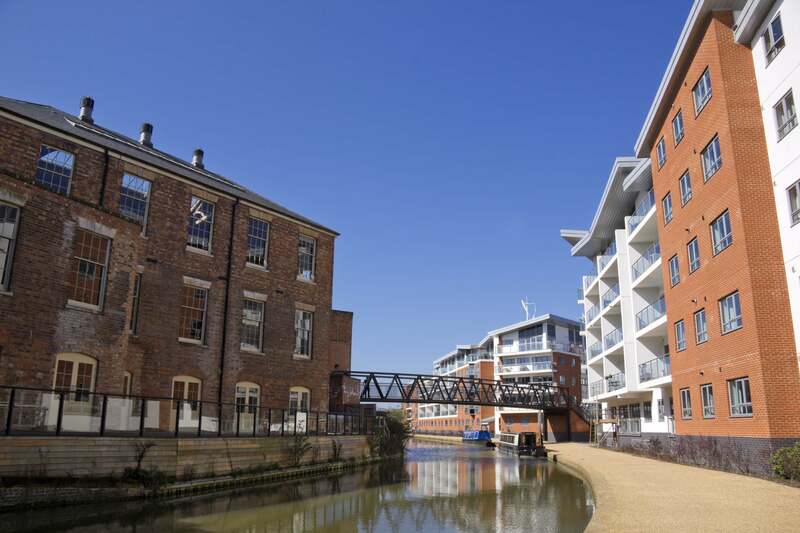 Concern with the leasehold/ freehold system has risen sharply over the past 5 years and is shared throughout England. Three in five (60%) now say the leasehold/ freehold system including service charges, ground rent and other fees is a serious problem. Concern has risen persistently over the past five years (up from 42% in 2015/2016). Getting a mortgage or remortgaging is declining as an issue over time. 64% of UK adults say the ability to get a mortgage/ remortgage is a problem (down from 72% in 2015). In Northern Ireland there are higher levels of concern versus the UK generally for negative equity (69% vs 45%) and, related to this, being able to pay off the mortgage (78% vs 64%). 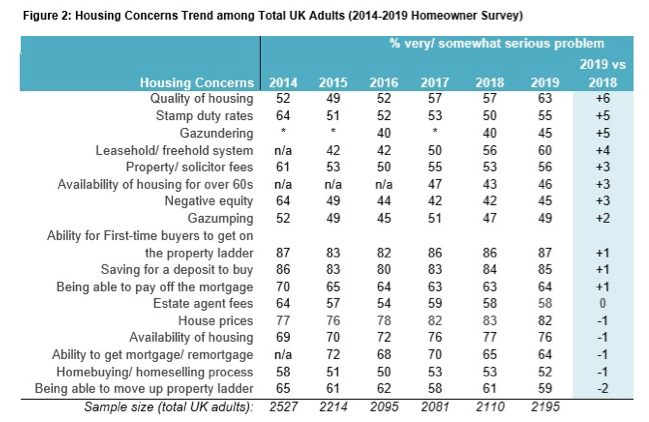 The Welsh seem more positive overall with a lower proportion registering as issues: homebuying and selling process (38% vs 52%), gazundering (39% vs 45%), leasehold/ freehold system (50% vs 60%), stamp duty (46% vs 55%), solicitor fees (49% vs 56%), being able to move up the ladder (49% vs 59%), quality of homes (54% vs 63%). In the North East, fewer people than the UK overall have an issue with house prices (71% vs 82%) or the availability of homes (67% vs 76%). In Scotland, the proportion saying stamp duty rates (46% vs 55%), estate agent fees (47% vs 58%) and solicitor fees (49% vs 56%) are a problem is lower than the UK overall. 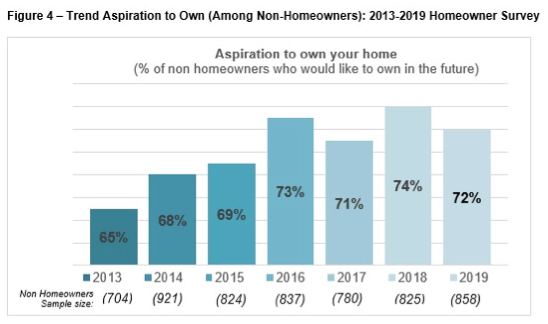 This is the 7th Annual Homeowner Survey, a state of the nation report on the housing concerns and trends affecting homeowners and those aspiring to own. 32 million concerned about quality of homes is calculated as follows: 2015 ONS Total UK adults 51,339,161 x 62.81%= 32,246,127. All figures, unless otherwise stated, are from YouGov Plc. The surveys were carried out online. The figures have been weighted and are representative of all UK adults (aged 18+). In 2019, total sample size was 2195 adults of which 1337 were Homeowners. Fieldwork 14-15th Mar, 2019. In 2018, total sample size was 2,110 adults of which 1285 were Homeowners. Fieldwork 5th-6th April, 2018. In 2017, total sample size was 2,081 adults of which 1301 were Homeowners. Fieldwork 9th March 2017. In 2016, total sample size was 2,095 adults of which 1,293 were Homeowners. Fieldwork 4-5th April 2016. In 2015, total sample size was 2,214 adults of which 1,390 were Homeowners. Fieldwork 4-5th March 2015. In 2014, total sample size was 2,527 adults of which 1,606 were Homeowners. Fieldwork 20th March 2014. In 2013, total sample size was 2056 adults of which 1,393 were Homeowners. Fieldwork 18th-21st January 2013. The 2018 Homeowner survey was made possible through sponsorship by BLP Insurance, leading provider of housing warranty insurance and Resi.co.uk UK’s leading architecture practice for everyday homeowners. I agree with Tony Good child’s comment but would go further. It’s very disheartening to see that environmental issues and sustainability of the housing stock don’t feature at all , when they ought to be top issues. That’s not just to do with general issues of climate change but for example susceptibility to flooding, resistance to extreme weather , energy consumption and water use and multiple other issues. Of course affordability and other issues seem much more immediate but these issues also impact on affordability in the longer run. I agree that management fees for rental properties are far too high. Rents are often far higher than a mortgage would be but people cannot afford to raise the deposit that is needed for a mortgage so are stuck in a very expensive rental market. Rental properties are often in a poor state of repair and are sometimes dangerous for tenants. This needs to be addressed by the government. People on benefits find it difficult to rent decent rental properties. This appears to be as a result of housing benefit now being paid to the tenant and not the landlords. Due to some tenants not paying rent Landlords do not like renting to people on benefits which is understandable. The system needs to go back to what it was before which will benefit both tenant and landlord. What was meant by quality of housing? I hope that energy performance was considered important, seeing the increasing cost of energy and the urgent need to reduce carbon dioxide (CO2) emissions. I agree with Bridget Murphy and would add that homeowner surveys are a laughable excuse. We had a homeowner survey done on a property we bought in 1999 in Hockley Essex. The surveyor missed the severe water stains caused by rainwater dripping over the top of the patio doors. This was so bad it had stained the hardwood frame and was easily visible with no lifting, moving or other incursion. Our most recent property surveyor again let us down by not highlighting the gap between the conservatory wall and the main wall of the house through which sunlight could be seen. The bathroom floor was visibly badly stained through poor sealing between the bath and the wall and as a consequence the kitchen ceiling below was bulging downwards with severely compromised paint/artexed covered plasterboard. Blockwork to the front drive was subject to lifting caused by 20 year old tree roots. Poor condition of the external decorative woodwork was also missed. All of these points would have easily picked up by an observant person just walking through the property. We relied on the surveyor doing his job well, as we had travelled 340mile round trip to do the viewing on this property, having looked at more than 50 houses in various parts of Essex, Suffolk, Herefordshire and Worcestershire and being truly punch drunk with property viewing. The flawed “Private Estate” model and it’s ‘fake freeholds’ with fees are now becoming a source of concern for homebuyers. Why escape the rent trap to end up with a ‘fleecehold’ home, where the freehold is subject to an estate rentcharge? Why be legally obliged to pay full Council Tax PLUS a ‘private estate’ maintenance fee, because the council hasn’t fully adopted open areas of land or shared ameneties? Why have to pay a fee to the developers’ Estate Management Company (and their self-appointed estate managing agent) to extend, rent out, change mortgage provider , or even SELL(!!!!) your ‘freehold’ home? The behaviour and greed of developers is outrageous and buying leasehold and freehold newbuild homes on new estates is a huge financial risk or burden for homebuyers. No wonder word is getting round and these properties are becoming harder to sell.